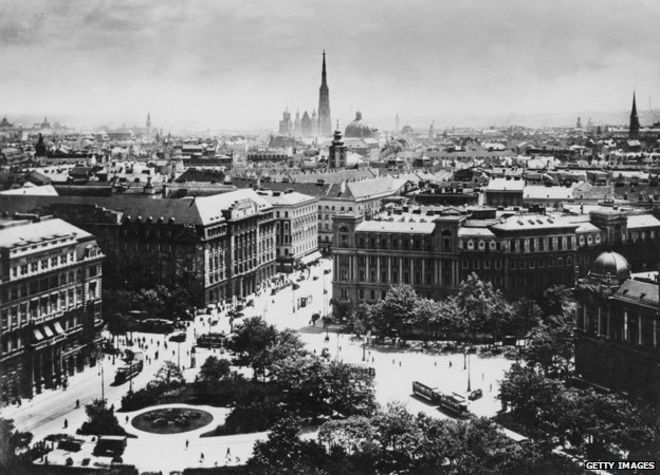 A century ago, a single square mile in the capital of the then Austro-Hungarian Empire was home to some of the most remarkable men of the 20th Century. 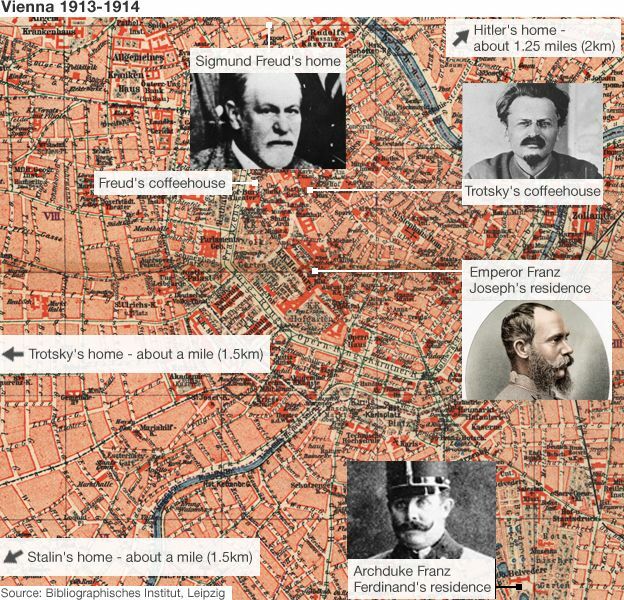 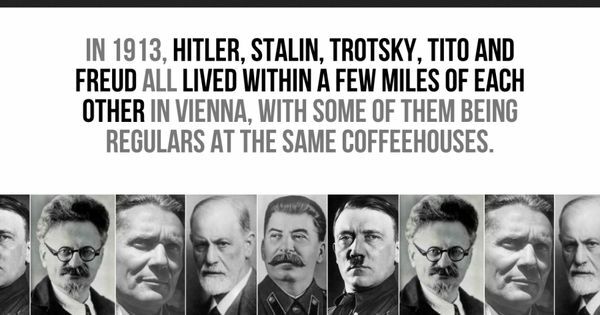 In 1913, Hitler, Stalin, Trotsky, Tito and Freud all lived within a few miles of each other in Vienna, with some of them being regulars at the same coffeehouses. Further reading on Why were Hitler, Stalin and Trotsky in Vienna in 1913?